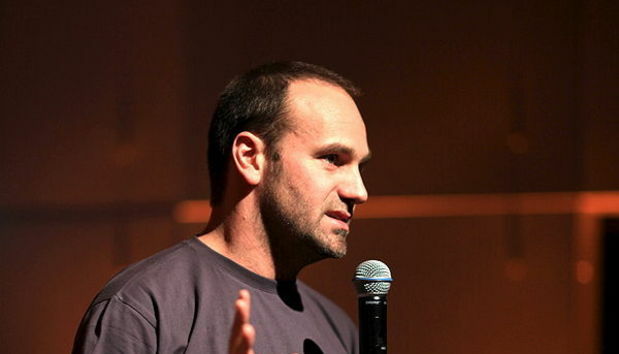 Canonical founder and CEO Mark Shuttleworth is one of the most prominent people in open source software. Ubuntu, the GNU/Linux-based operating system that he helped birth in 2004 is now one of the best-known open source projects in the world, accounting for a vast proportion of the Linux VMs in the public cloud and huge numbers of connected devices. He sat down with Network World Senior Writer Jon Gold to talk about the future of IoT and the evolution of technology. NW: One thing that’s interesting about IoT is that new tech is coming from companies that you wouldn’t consider traditional IT vendors. MS: The thing I personally love about IoT is that it’s genuine entrepreneurship – but the thing about IoT is that literally anybody that finds themselves in a particular situation is able to see how taking a small piece of electronics and some software in a particular context to make something better. So that makes it just a lot of fun from an entrepreneurial point of view. NW: What are the most noteworthy pieces of entrepreneurship you’ve seen around IoT? MS: Thermal pumping of yogurt. NW: Thermal pumping of yogurt. MS: Yeah, it’s not as sleazy as it sounds. If you’ve ever seen yogurt, it has a little film of water on top of it – the yogurt’s fine, it’s just that temperature variations in transit or wherever have essentially squeezed the water out of the jelly. And the net effect is yogurt that people are more inclined to think has turned, and it gets wasted. If you imagine an economy with 300 million people eating yogurt, it turns into an enormous amount of waste and, therefore, a nice big opportunity for someone who can put the right device in the right place at the right time and line up all the pieces. NW: I have to be honest, this is not what I imagined we were going to talk about. NW: Sort of a ghost data center. MS: Exactly so. As a result, it’s the domain of a very few people, who compete ferociously with the idea that, in the back of their minds, the winner takes all. And that pays the bills for us. … but in IoT, what I love about it is that it’s literally real people looking at a real problem and thinking how, like, Raspberry Pi plus Ubuntu plus an app makes a huge difference. They’re not competing with Google, they’re not waking up every day thinking, “How do I get a billion dollars out of Silicon Valley?” But it’s real, and it’s real money, too – millionaires will be minted this way, and they’ll deserve it, and their stories are interesting. NW: Any particular verticals that are more likely than others to mint those millionaires? MS: Just follow your own day, is what I would say – you wake up at home and have a bunch of transport, have a bunch of communications, you work in an office, you socialize in another kind of structure somebody else is building, you move through public spaces, and end up back at home. Every phase of that, whether it’s retail or entertainment or commercial or personal, you’re surrounded by the opportunity to make things smarter, whether that’s smarter control over lighting and energy or security access control, or whatever. NW: Is this where you saw Ubuntu even five years ago? MS: So I’m an investor, and I got very lucky when I was young, with security on the Internet. But if you look at everything I’ve done, you look at the world and say, “What are the deep things that will take five or 10 years to play out?” Because if you’re reading about something that’s, right now, imminent and hot, it’s generalized enough that the winners and losers are probably already at the table. So you kind of have to spot stuff before it’s mainstream news, and be willing to run with that stuff, right or wrong, for four or five years or a decade. What was clear to me was that the open source approach to technology would be much more than hobbyists. It would really come to define, first, the Rebels, and then the Galactic Empire. There was a time when open source was really about independent experts who were getting things right on their own time. But now, Microsoft, Google, Amazon are falling over themselves to give away as much open source on machine learning – this is the crown jewels, effectively, and they’re trying to give it away as open source. It’s the industrialization of that prospect. NW: That would have been tough to predict a few years ago. MS: I would say it was a fairly cogent bet that if I could focus on professionalizing free software and finding economics that didn’t interfere with the flow of it being free, then that would be [a winner.] I did not predict cloud, but we were in the right place at the right time. NW: Canonical is a software company, but it’s got a prominent role in IoT thanks to Ubuntu Core – are you guys going to need additional hardware expertise to keep up? MS: The trend is to standardize the modules. So if you think about the original PC, what really made it was that it’s a form factor where you had the expectation that you could plug into it. That’s really what differentiated the PC from other personal computers that had come before. You could take the lid off the box, and there was a bus there and you could plug something into it. It didn’t have to be designed by the same people that designed the box. Now it’s kind of going the other way – the PC is the thing that you plug in. If you imagine people designing a robot today, they’ll say “here’s the size and space where the brain is going to go.” And they don’t necessarily know in advance what kind of brain it’s going to be, and if they can say to the developers, “it’s going to be ARM, it’s going to be x86, but it’s going to be Ubuntu,” the developers can start creating and testing software in the cloud. Independently, industrial designers can start figuring out weight and balance and design and packaging and all the other things they need to figure out. Those things only need to come together late in the process if you have standardized module. NW: That’s happening on the software end, too, right? Containerization and so on? MS: We know that standardization and reusability dramatically influence economics – the cost of something that’s hand-built or custom-designed, compared to something that’s off the peg is massively, massively different. NW: It’s like industrialization all over again. MS: There’s no common form factor for robots, drones, vehicles, cameras or anything, so this means highly fragmented industrial design and logistics and so on supporting them, but there’s no reason why the core can’t be standardized. NW: What about networking standards? There’s a lack of, well, standardization there. That means you’re going to have to figure out how to tell whether Heartbleed is fixed across all these different devices, and that’s where I think we can help – if they’re all running Ubuntu, we can give you a common lens to look at them, and at least where there are commonalities, you can manage them as a common story. And that’s very real! A fleet of trucks, a fleet of drones, Wi-Fi access points and so on – they all need to get fixed for those Wi-Fi patches.